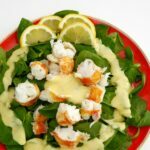 These lobster tails are served with a gorgeous homemade lemon mayo – perfect for a special low carb appetizer to share! 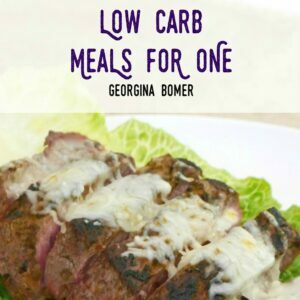 If you’re a regular reader you’ll know that I usually prefer to share recipes that are low in number of ingredients, easy to prepare – in general they are ideal for everyday low carb cooking. Every now and then, though, we all need something for a special occasion – and nothing says special like lobster! 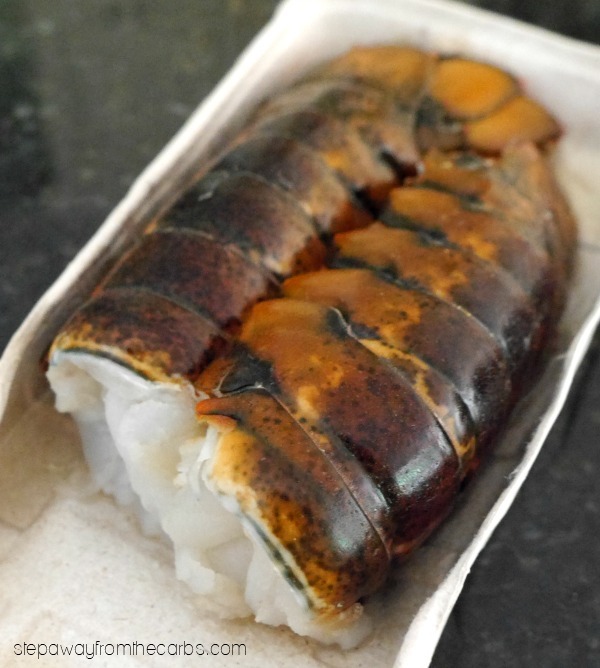 Also, on my bucket-list of to-cook meals, is a whole live lobster. In fact my father-in-law gave me a lobster steamer set about five years ago and I haven’t used it yet. But one day. Maybe. The wimp’s option for cooking a whole lobster is to just cook lobster tails. Now THIS I can do. So I paired it with a homemade lemon mayonnaise which worked perfectly as an appetizer. If you try it, let me know what you think! Bring a large pan of water to the boil, add the lobster tails, and let them boil for around six minutes. The shell should be red and the flesh opaque. Remove from the water and let cool. Meanwhile, make the mayo. Zest a fresh lemon (I love this Microplane zester!) and squeeze out the juice from half of the lemon. Set aside. Add an egg yolk, Dijon mustard and a little fresh lemon juice to a small bowl, and whisk to mix. Slowly add olive oil in small drops, whisking constantly until all the oil has been incorporated. Add the lemon zest and remaining juice, then test for seasoning and add salt and pepper if needed. 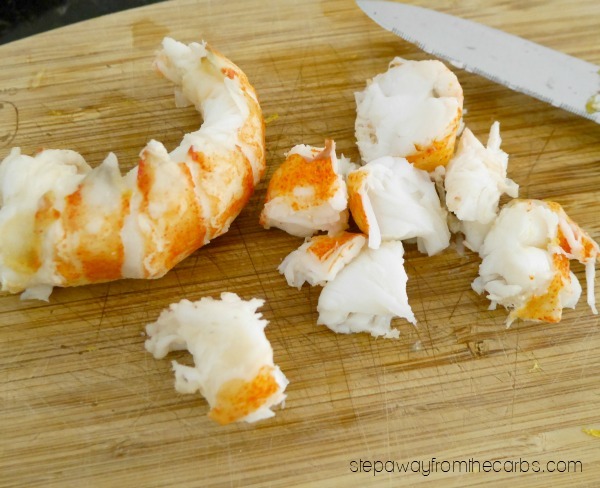 Remove the shell from the lobster and chop the flesh into small pieces. Fill a serving plate with green leaves of choice, then place the lobster in the middle. 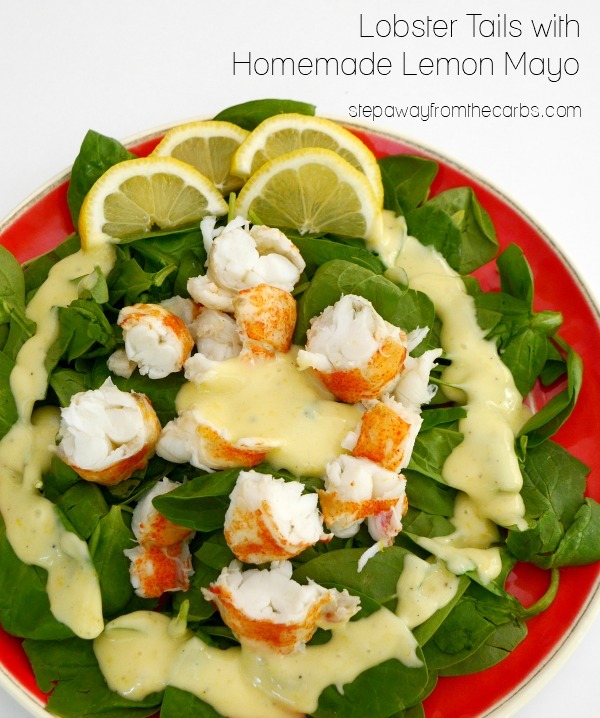 Add the mayo and decorate with lemon slices or wedges. Bring a large pan of water to the boil and add the lobster tails. Cook for around 6 minutes or until the shells are red and the flesh is opaque. Remove from the water and let cool. To make the mayo, whisk together the egg yolk, mustard and one teaspoon of the lemon juice. Slowly add the olive oil to the egg mixture, a few drops at a time, until all the oil has been incorporated and a mayonnaise has formed. Stir in the lemon zest and the remaining lemon juice. Test for seasoning and add salt and pepper if necessary. Arrange salad leaves on a serving plate. Remove the lobster flesh from the shell and chop. Place the lobster on the leaves and garnish with the lemon mayo.